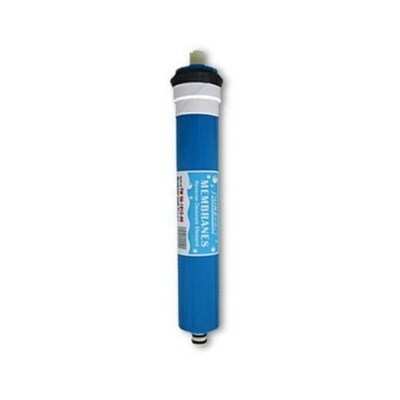 The Alkaline filter changes the acidic RO water into a perfect alkaline ionized water. The purer the water you drink, the more acidic it is. But now you have have ultra-pure reverse osmosis water with a advanced alkaline filter which adds beneficial minerals and raises the pH up to a much better level of between 8.5 - 9.5 pH. 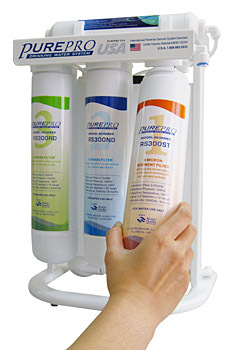 Pure-Pro Quick-Change RO system uses the most advanced water treatment technology: "Reverse Osmosis". RO is recognized as one of the best available technologies for producing best quality drinking water. It's also the same method used by many bottled water companies to make safe and great tasting water. 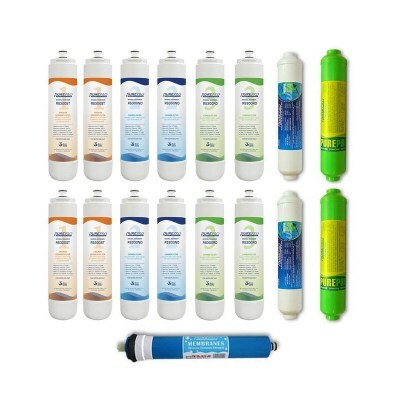 No other home water treatment system can offer you as much protection and reliability. The purer the water you drink, the more acidic it is. But now you have have ultra-pure reverse osmosis water with a advanced alkaline filter which adds beneficial minerals and raises the pH up to a much better level of between 8.5 - 9.5 pH. 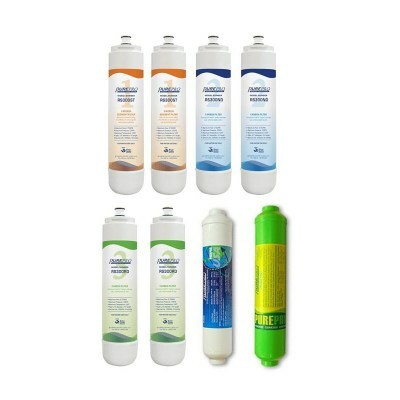 Quick Change RO SystemQuick-change cartridge filters ** Quick-Change RO systems are so easy to service !! 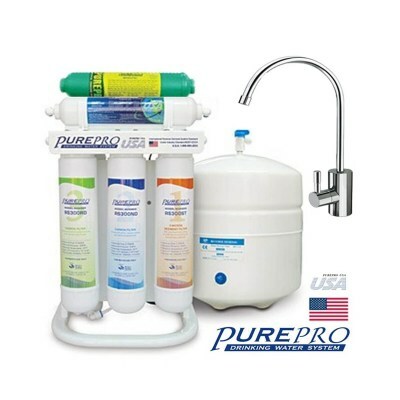 The Pure-Pro Alkaline Water Filter Cartridge transforms the mildly acidic RO water into a perfect natural alkaline and calcium ionized water, improving both the taste of the water, giving the water a much softer feel. The Pure-Pro Alkaline filter restores beneficial nutritional minerals lost in the filtration process such as ionized calcium, magnesium, sodium and potassium. 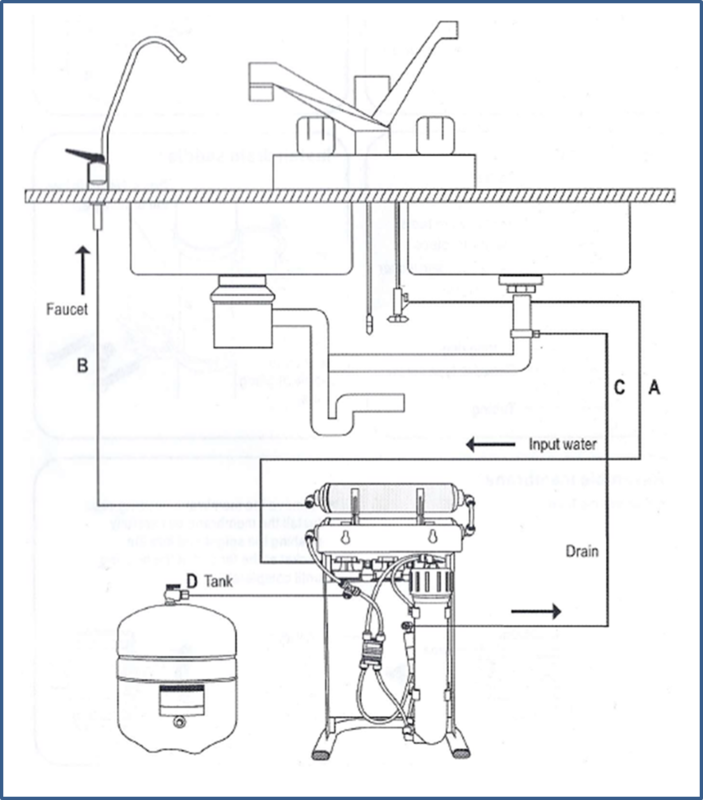 It therefore makes the perfect add on to any reverse osmosis water filter system with universal compatibility. 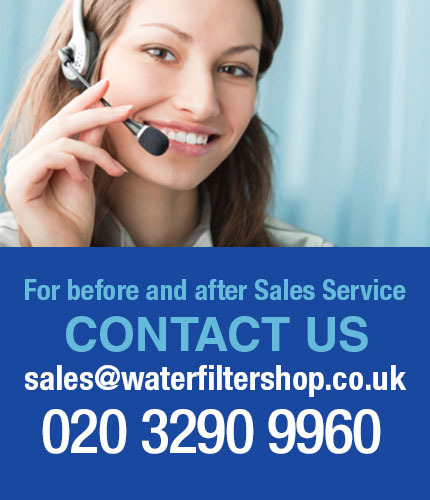 The alkaline filter is highly effective in raising the pH value of reverse osmosis or distilled water to between 8.00 and 9.50. Why raise the pH of your Reverse Osmosis Water? Over acidity in the body is a very common today. Many people believe that a more alkaline pH in your diet and water is very beneficial for health. Well pH-balanced blood is necessary for the body to resist disease. A healthy body maintains adequate alkaline reserves to meet emergency demands. When excess acids are neutralized, our alkaline reserves are depleted leaving the body in a weakened condition. A pH balanced diet, according to many experts, is a vital key to health maintenance. pH enhanced water helps to minimize the fluctuations of your body's pH. The 100% organic and natural calcium, magnesium, sodium and potassium ions produced by the Pure-Pro Alkaline Filter can be 100% fully absorbed by the body. Despite the fact that water provides only a very tiny amount of our daily intake of these minerals, they are more easily absorbed in the body because they have structurally smaller molecules. This assists in helping the body absorb more water and replenish lost fluids quicker for much better hydration. Water is easily absorbed in the body because it has structurally smaller molecules which help the body take in more water and replenish quickly lost water. It takes out 99% of the chlorine and organic chemicals. It provides enhanced reduction of taste, odour, and colour. A thin film composite (TFC) high quality membrane that processes 50 gallons per day (these are US Gallons or around 190 litres). It removes the following hard water contaminants that may be present in your water: lead, cooper, barium, chromium, mercury, sodium, cadmium, fluoride, nitrite, nitrate, and selenium. The system is remarkably easy to fit and can be installed by any competent person with a spanner and a drill. No plumbing or plumbing skills is required. The system comes complete with a device called a "saddle valve". This wraps around the cold water pipe which supplies your current cold water tap in your kitchen. You tighten it around the cold water pipe with a spanner. After that, there is a handle you can twist which creates a hole in the cold water pipe and this is what provides the inlet for the water to enter the filtering system. Easy connecting push-fit tubing attaches to the saddle valve which is then quite simply push fitted into the system. As the water travels through the various filters, it then reaches the RO membrane. This filter has very tiny micron pores and only allows very pure water to pass through it. The contaminants which cannot pass are not stored in the system, but rather sent to the drain. The kit comes with a drain saddle, which wraps around the waste pipe under your kitchen sink. It is simply attached with a couple of nuts and bolts and tightened with a spanner. Lastly, there is the dispensing tap. You simply drill a 12mm hole where you want the tap to be located, ensuring you can gain access underneath to tighten the nuts and bolts. The rest is just simply push fitting all the tubing together. It is easier than it sounds and the kit comes with full and clear instructions. The diagram below shows how it all fits together. 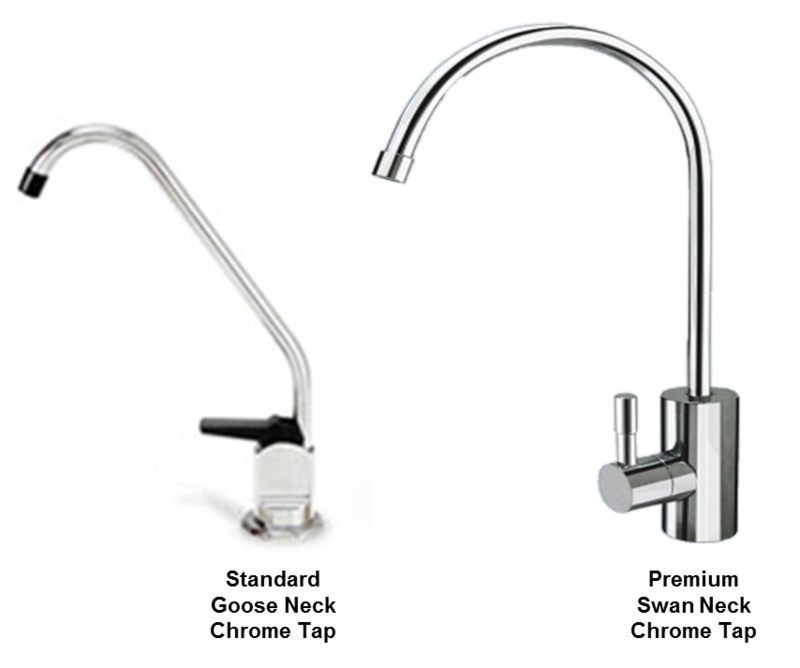 The system comes with a Pure-Pro Goose-Neck Chrome Tap as standard. However, you can upgrade your tap to the very high quality Pure-Pro Swan Neck Tap for added elegance, build quality and longevity. 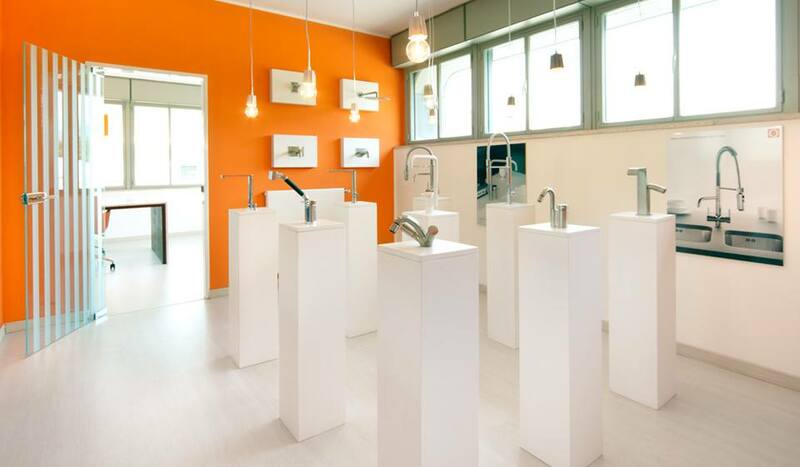 If you have a marble, granite or other solid kitchen worktop, or you want a more elegant tap solution, then you need a 3 Way Tap. This will combine your Hot, Cold and Alkaline filtered Reverse Osmosis Water into a single, stylish and very high quality kitchen tap. 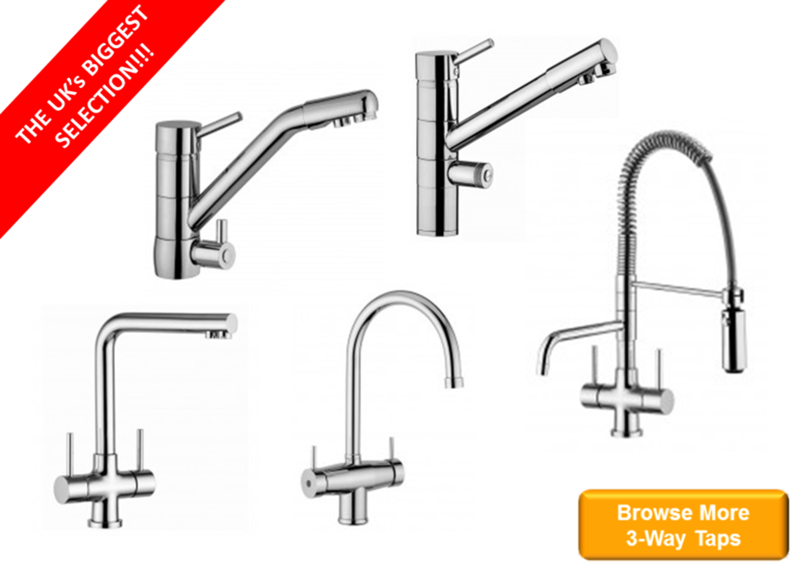 Osmio Water are the largest stockist in the UK of 3-Way taps so there is a huge selection to choose from.